Walk an old road that circumnavigates a lovely meadow near the Big Trees Lodge in Wawona. 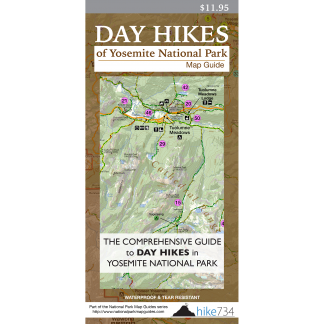 The hike leaves the wonderful Big Trees Lodge and crosses over Wawona Road to the paved golf course road. Once past the golf greens, follow the signs and take a left through the gate onto the old fire road. The path loops around the meadow mostly in the trees. 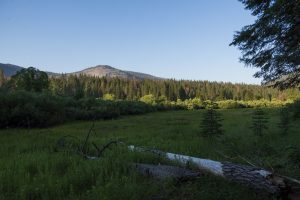 Patches of willows obscure much of the views giving little pocket views of the meadow and Wawona Dome across the way. As you reach the top of the loop, a handful of seasonal creeks cross the road. Once on the other side of the meadow, open forests carpeted with the aromatic plant, Mountain Misery, become dominant. Views of the meadow increase. This stretch parallels the road which makes it a bit noisy, but the wonderful views of the meadow make up for it. Cross the road which heads back to the lodge to complete the loop. Trailhead: The hike begins from the Big Trees Lodge parking lot.